Elinor Smith soloed at 15, earned her license at 16, and holds the honor of having flown under all four bridges (1920s-era) in New York City. By age 17, in early 1929, Smith was trading records with other women pilots of the day, establishing marks in endurance in a Brunner Winkle Bird in January (13 hours, 16 minutes) and in a Bellanca CH in April (26 hours, 21 minutes). Bellanca hired her as a demonstration pilot and later as a high altitude test pilot. Smith teamed up with Bobbi Trout in November of 1929 (after two unsuccessful tries) to set a new women's endurance record of 42 hours and to become the first women aviators to accomplish aerial refueling. Their Sunbeam airplane was refueled from a Curtiss aircraft which had an emergency landing after 30 hours, forcing the women to land when their fuel was exhausted. 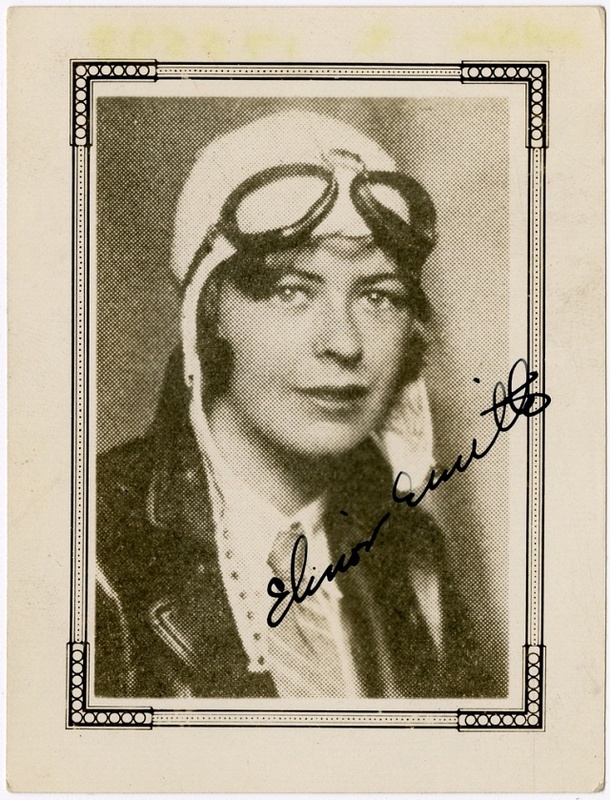 In 1930, Smith set a women's altitude record of 8,357 meters (27,418 feet) in a Bellanca Pacemaker and she was named Woman Pilot of the Year at the tender age of 19. She made two attempts in 1931 to regain the record, passing out the first time. She also set a straight course speed record for women of 369 kph (229 mph) in 1932. From 1930 to 1935 Smith was an aviation commentator for NBC radio, covering such events as the Graf Zeppelin landings in the United States and the National Air Races. She was a frequent contributor of aviation articles to several magazines as well. In New York, she helped shape aviation policy as an official advisor to the New York State Aviation Committee.